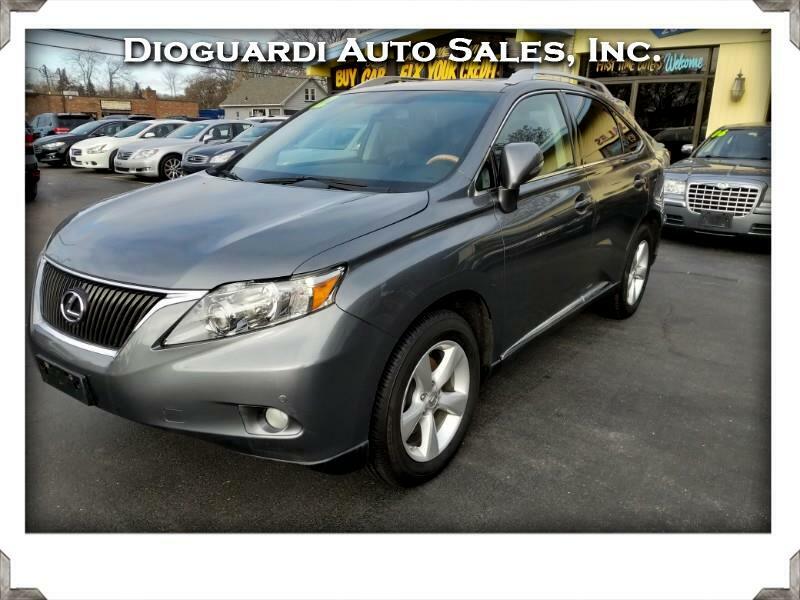 Used 2012 Lexus RX 350 AWD for Sale in Rochester NY 14609 Dioguardi Auto Sales, Inc. The 2012 Lexus RX 350 is a mid-size luxury crossover powered by a 3.5-liter V6 engine that produces 270 hp and 248 lb-ft of torque. The 6-speed electronically controlled automatic transmission can be paired with standard FWD or optional AWD. Fuel mileage falls within an EPA estimated of 18 mpg city to 25 mpg highway, depending on drivetrain selection. Features include power rear door, intuitive parking assist, push-button start with SmartAccess, adaptive front lighting, backup camera, dynamic radar cruise control, heated/ventilated front seats, hands-free phone capabilities, voice activated navigation, premium surround sound system, and dual screen rear entertainment system. Safety is comprised of 10-airbag system, anti-lock braking with brake assist, vehicle stability control, pre-collision system, smart stop technology, and tire pressure monitoring. The RX 350 is backed by a 4-year/50,000-mile warranty.